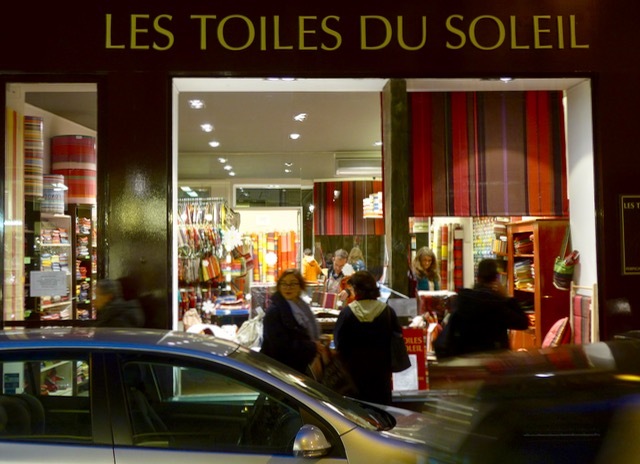 One of the absolute, and not necessarily expensive, joys of Paris is simply strolling through many of the different neighborhoods that make up the city. We had based ourselves in a small rented apartment near La Grande Epicerie last November, and explored quite a bit of the 6th and 7th arrondissements from there. 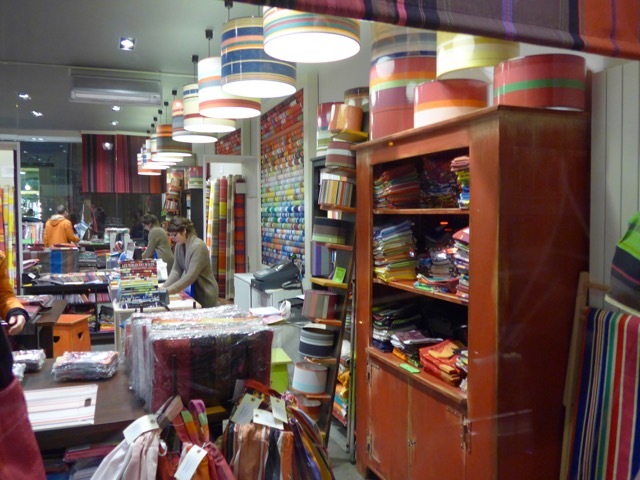 One of our favorite window shopping streets has to be Rue du Bac, starting from the epicerie and walking towards the other end, nearer the river. 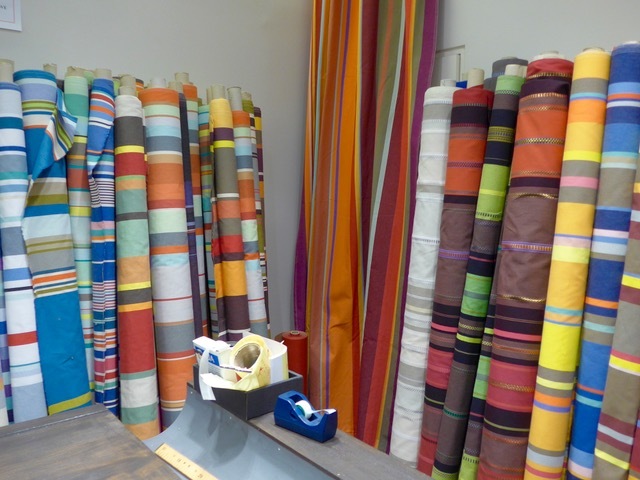 We were drawn to this attractive fabric store near the Conran Shop, and stopped in to look at bolts of brightly colored canvas and outdoor-proofed materials originally meant for your terrace or garden in the South of France. 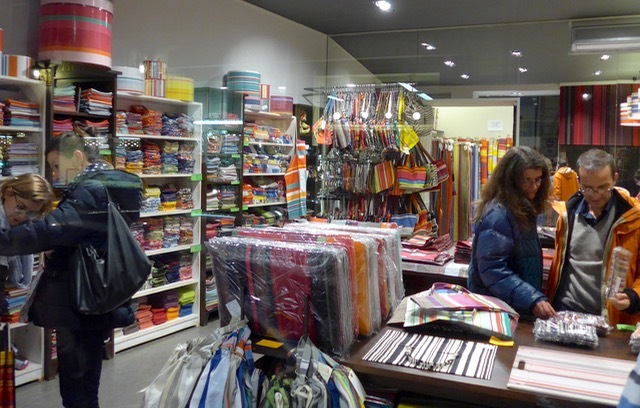 They had also crafted totes, tablecloths, placemats, etc. with smaller remnants of fabric. The items were beautiful, practical and very appealing. We picked up a few placemats that we used a few weeks later for this New Year’s Eve dinner, an informal get-together with good friends. For more information, and more of their products, see their website, here. I fell in love with this store when I dropped in by chance, in NYC! oh my…my kind of store! 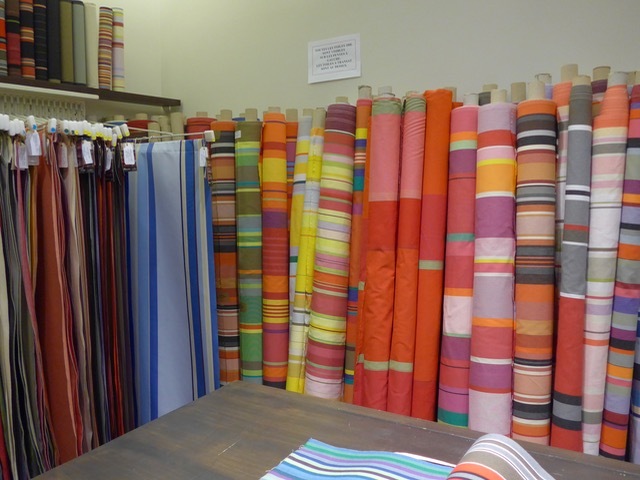 Aside from bookstores, fabric stores are the only other non-foodstuff-related store I would go crazy in. This looks like heaven!